“Always a pleasure to visit your very friendly & congenial office team. Thanks, for making a teeth cleaning event enjoyable.”– Don F.
“Courteous and quality service.”– Eko C.
“Angela Is very aware of my fears and put at ease right away. Efficient and always pleasant. Of course I was greeted as I entered with smiles and asked if I needed anything while I waited.”– Treva J. “Great dentist with wonderful staff.”– Augustine V.
“I can’t say enough good things about Jenny. I absolutely love coming to the dentist just to see her. She’s so friendly and personable. I know she cares about me as a patient. Thank you Jenny for being awesome!”– Katie C.
“Terrific experience. Service was prompt (albeit relatively quiet day). Hyglenist was very friendly, thorough, explained what she was doing. Appreciated the information brochure. Entire staff was friendly. Nice clean space.”– Danny L.
“I had a great experience yesterday considering I am a big baby when it comes to my dental appointment. I believe it is because of my wonderful dental hygienist, she is very accommodating. The young lady at the first desk is cool people too.”– Evelyn G.
“Great! Loved getting a call letting me know my cleaning was running late!”– Theresa T.
“Dr. Marvizzi and his staff are awesome. They are professional, very knowledgeable and caring. 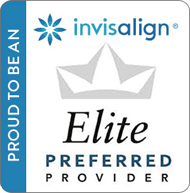 They are the best dentist practice we have experienced. To make this point we drive 80 miles for our dental care.”– Joseph A. “Friendly and professional.”– Zackary T..
“As always my visit was great! Thanks to the entire staff. I love my dentist Dr. Rayhan. Everyone at the practice is kind and caring. Angela my hygenist does a fabulous job and Angelique in Billing is awesome.”– Maureen B. “Everything went great!”– Antoinette S.
“I had a lot of work done and it all went really well. My time with you was pleasant. I felt comfortable and well informed. Thank you for your kindness and professionalism.”– Linda B.